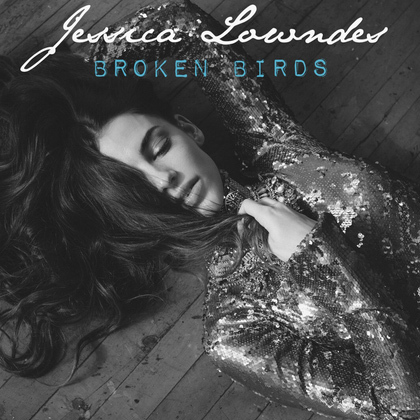 Jessica Lowndes Network is Back! Hi all! It has been a while since the last time I posted here and now I’m doing it to inform you that I am back. I already told you something about my absence on twitter earlier today, but basically all I wanted to say is that I’m officially back. This means that updates at Jessica Lowndes Network will come back to normal, I will be here updating you with all the latest about Jessica, providing you with news, photos and so much more, as I did in the past 2 years. About that, during my absence I missed our 2nd Year Anniversary, so I’m celebrating it now as the site turned 2 last March 15th. So HAPPY 2ND YEAR ANNIVERSARY to my beloved site Jessica Lowndes Network!!! Thank you everyone for your constant support! Now, let’s spend some time to explain why I suddenly disappeared. I won’t be too specific as I prefer to keep my personal life and my personal issues private, but let’s just say that life hasn’t been so kind with me in the past months, so I’ve had to deal with that and I haven’t had time to take care of this site. While I was gone, I’ve missed the site so much. I’ve missed following Jessica and providing you with news about her and I’ve missed each one of you, so, so much! I’d like to thank each one of you personally for all the support you showed: I’ve got tons of emails and reading each one of them, with all the kind words you sent me, made me almost cry. You guys are amazing, simply the best, so thank you so much from the bottom of my heart! Okay, now that I’m back, I’m going to catch up with all I have missed during my absence. I will have all missing photos (events, shoots, 90210 screencaps and stills and more) up into the gallery as soon as I can and I’m already working on a new layout to celebrate our 2nd Year Anniversary and my return as well. If you sent me a message and I didn’t reply, please feel free to send it again. I might have missed something or someone as I had almost 300 emails to go through. So, that’s all I wanted to say for now. Keep visiting Jessica Lowndes Network and follow us on twitter at @JLowndesNetwork if you are not following yet for tons of updates to come! Hi all! This is not a news, but just an information. I want to make it clear, once again, that I AM NOT Jessica Lowndes and that this site is just an unofficial online resource and tribute dedicated to Jessica. I’m receiving tons of emails and comments lately, with people asking for autographs, telling how much they love Jessica and stuff like this. I really love to see how much you like and support Jessica, I didn’t receive anything bad since I’m online with this site and I’m so happy to see that people love Jessica, but this site is not run by Jessica, nor endorsed by her or affiliated with her management. When you write something directed to Jessica Lowndes using my site, I’m the one who reads it. Not Jessica Lowndes. I can’t forward your messages to her. I wanted to tell you this once again, because even if it’s pretty clear and stated on the site, people keep thinking that I’m Jessica Lowndes and that this is her official site. Well, my name is Jessica as well, and I’m proud to share the same name with “our” Jessica, but the site is just unofficial. I hope you understand why I’m posting about this. I don’t want people to think that they’re sending messages to Jessica Lowndes or visiting her official site when that’s not what they’re doing. Jessica and her 90210 co-star Matt Lanter have been announced as the faces of the “Teen For Jeans” 2011 campaign. Check out an article below from ET Canada! “90210” beauty Jessica Lowndes and her hunky co-star, Matt Lanter, have been announced as the faces of the 4th annual Teens For Jeans campaign. The initiative will enlist the help of hundreds of thousands of teens to take action on youth homelessness. To kick this year’s drive off, teen retailer Aéropostale has promised to donate 10,000 pairs of brand new jeans. Teens across the US and Canada will be called upon to donate gently-used jeans to the good cause, which will go directly to local shelters in their communities. The TV stars have joined together to create a Public Service Announcement to challenge teens to help surpass the one million mark during the three week campaign. The PSA will launch on TeensforJeans.com on Monday, Jan. 17. As the title says, I’ve thought about a birthday project for our Jessica this year. Her birthday will be on the next November 8th. I know maybe it’s too early to start it, but I’d love have all ready in time! Jessica’s Twitter account now verified! Jessica will attend the benefic event “A Time for Heroes Celebrity Picnic” on the next June 13th with other well known celebrities. 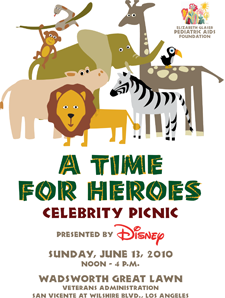 The A Time for Heroes Celebrity Picnic allows guests to hang with Hollywood’s hottest stars, play games, and enjoy unbelievable food while helping create a generation free of HIV. A Time for Heroes has raised more than $30 million since 1990. Disney will join us again in 2010 as the title sponsor, making sure the funds raised will help the Foundation to continue its lifesaving work. “90210” Stars Inspire Bebe’s Fall Collection! Hollywire has a new article about the Bebe’s Fall Collection. The clothing line will include dresses inspired by the 90210 girls, including our wonderful Jessica. Read the article below! The CW’s 90210 has teamed up with Bebe Clothing stores to create a new fall line! The collection will be inspired by the cast, including the beautiful AnnaLynne McCord (Naomi Clark), Jessica Stroup (Silver), Jessica Lowndes (Adrianna) and Shenae Grimes (Annie Wilson). The new line, consisting of dresses, tops, bottoms, and accessories, will launch simultaneously with the third season of 90210 airing this fall. According with Fashion News USA, Jessica will attend the “Summer Soiree” on June 5th, 2010 at The Venetian Resort-Hotel-Casino in Las Vegas. Under the luminous stars at the luxurious pool deck at The Venetian Resort-Hotel-Casino in Las Vegas, Simon G. Jewelry presents SUMMER SOIREE, an exclusive star-studded musical evening on Saturday, June 5 at 7:00p.m. Melissa Rycroft-Strickland hosts the invitation-only event at this exquisite venue, as Robin Thicke brings his signature sultry R&B sound poolside at The Venetian. Thicke will be accompanied by emerging Las Vegas country artist CJ Goldner, Dr. Hollywood and a highly anticipated performance by Jessica Lowndes, who is best known for her role in the CW’s hit drama 90210. According with Dread Central, Anchor Bay has officially announced its acquisition of Altitude. Below you can read the Press Release. You can also watch the trailer uder the cut. Anchor Bay Entertainment announced today the acquisition of the supernatural thriller Altitude through its Anchor Bay Films label. The agreement covers distribution in the U.S. and U.K. as well as Australia and New Zealand. Directed by award-winning graphic novelist Kaare Andrews, the film is written by Paul A. Birkett (The Keeper). Altitude follows a group of teens on a weekend getaway aboard a small plane that suddenly turns deadly for the rookie pilot, Jessica Lowndes (“90210”), and four young friends: Julianna Guill (Friday the 13th, “90210”), Ryan Donowho (Bandslam, “The O.C.”), Landon Liboiron (“Degrassi: The Next Generation”), and Jake Weary (“As the World Turns”). Minutes after the group takes off, an unexplained malfunction sends the aircraft climbing out of control into the heart of a mysterious storm. Unable to get their bearings or contact the ground, the survivors gradually realize they are locked in combat with a terrifying supernatural force. Altitude is produced through the combined efforts of Ian Birkett at Escape Factory, Rob Merilees and Dave Valleau at Foundation Features, Gary Hamilton and Mike Gabrawy at Arclight Films. The deal for Altitude was negotiated by Kevin Kasha, James Shapiro and Richard Turner for Anchor Bay Films: Gary Hamilton, and Mike Gabrawy of Arclight Films. If you do not know who this is then you are not alone. Apparently she is from the new Beverly Hills 90210. She’s a singer too. But neither of those impress me as much as her sporting a Dodgers jersey and looking better than anyone else who has rocked the gear. It’s real!!! Finally! Matt Lanter confirmed this account and her Official MySpace too, so start following Jessica now! Ok, this time may be the right one. This should be the real Jessica’s twitter account, so our goddess is finally on twitter. I’m so excited! This is a great news, so I really hope this account will be verified soon! For now, just start following her here: @realjlowndes! Thanks to the awsome Natalia for the heads up! This is finally the real Jessica Lowndes – Twitter will verify my identity by the end of the week. So, we have to wait to have it verified and I’ll update you with every news as soon as it’s avaible.